My daughter and nieces and whoever else wants to join us are having a photography challenge and today is the first day. The main objective is for us to be more creative and get out and use our cameras more. Everyday for the next 30 days we have an assigned category of the type of photo to take. Today is Favorite Food. For me that meant a trip to the candy store, and a photo of just about anything in there. I love candy so here is the one I am going with. 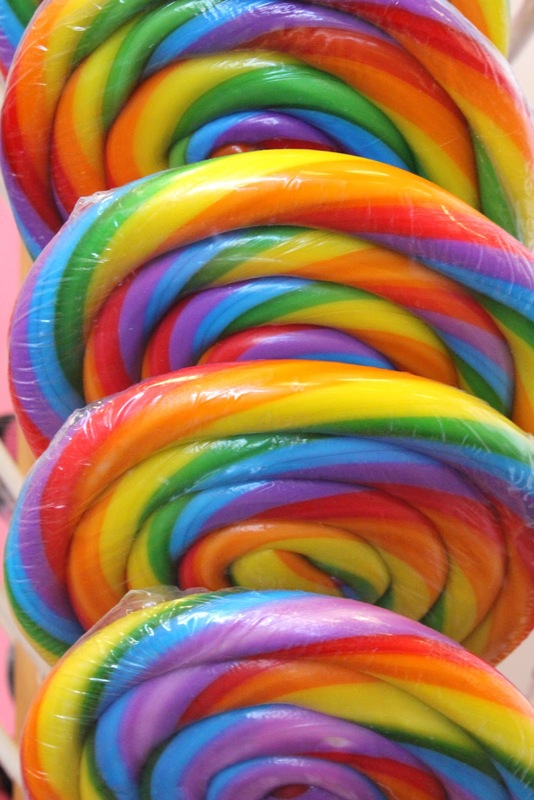 Lollipop, Lollipop, oh Lolly, Lolly, Lolly!! Cute! Colorful! Probably all kinds of things technically wrong with it, but it got me remembering how to change the ISO on my camera, and all the fun stuff about f-stops, light meters and shutter speeds. I got the camera off of auto for the first time in a while, so I am calling today a success!